This week on The Urban Business Roundtable, UBR Contributor Angelique Westerfield speaks with Angela Samuels, the plus-sized model who defied her doubters to found Voluptuous, a premiere retail fashion store for plus-sized women, in Toronto Canada. Angela Samuels a member of a unique sorority: former models turned model entrepreneurs. This week on The Urban Business Roundtable, UBR Contributor Angelique Westerfield speaks with Angela Samuels, the former plus-sized model who defied her doubters to found Voluptuous, a premiere retail fashion store for plus-sized women, in Toronto, Canada. In partnership with her sister, Karen Samuels, Samuels has expanded Voluptuous to four stores, generating 2009 sales of $2 million. Pre-recession sales reached as high as $5 million in 2004. Also on this week’s edition of The Urban Business Roundtable, our Executive Producer TaQuoya Kennedy speaks with accountant and certified financial planner Donald Reid about financial planning for entrepreneurs. Reid is author of the book The Theology of Finance: How To Attract Power, Money and Love. If you have a question you want answered or a topic you want addressed on The Urban Business Roundtable, send me an e-mail at edmonda@blackenterprise.com or to me at Twitter or Facebook. 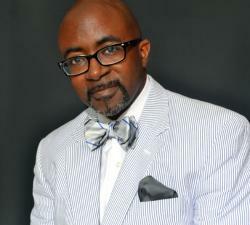 Alfred Edmond Jr. is the editor-in-chief of BlackEnterprise.com and the host of the Urban Business Roundtable, a weekly radio show, sponsored by Ariel Investments, airing CST Wednesdays at 8:30 a.m., Thursdays at 6:30 p.m. and Saturdays at 9:30 a.m. on WVON-AM 1690, the Talk of Chicago. You can also listen live online at WVON.com. Check back each Wednesday for The UBR Morning Post, which features additional resources, advice and information from and about the topics, entrepreneurs and experts featured on the show.